Frederik January 15, 2016 Comment? 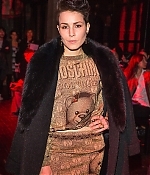 Noomi Rapace has kicked off 2016 with a bunch of public appearances in London this week. First, there were visits to the London Collections Men. 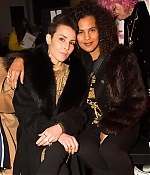 Yesterday, Noomi graced the red carpet at the London premiere of “The Revenant”, which has received 12 Academy Award nominations on that day, including a Best Supporting Actor nomination for her friend and frequent collaborator, Tom Hardy. Congratulations. Pictures from all appearances can be found in the photo gallery.